King Bed or Two Queen Beds, Corner Couch with Queen Sofa Bed, Spacious Bathroom, HD Flat Screen TV and Mountain View. King Bed with Queen Sofa Bed or Two Queen Beds, Spacious Bathroom, HD Flat Screen TV and Mountain View. King Bed, Spacious Bathroom, HD Flat Screen TV and Restricted View. Two Queen Beds with Queen Sofa Bed, ADA Bathroom, HD Flat Screen TV, and Restricted View. 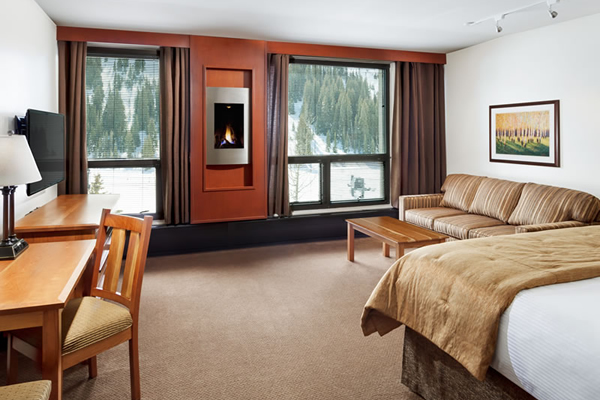 Alpenglow Room with King Bed and Queen Sofa Bed, Complete Bath, HD Flat Screen TV, Small Gas Fireplace and Mountain View. King Bed with Queen Sofa Bed or Two Queen Beds, Complete Bathroom, HD Flat Screen TV and Balcony with Mountain View. King Bed with Queen Sofa Bed or Two Queen Beds, Complete Bathroom, HD Flat Screen TV and Balcony with Restricted View. King Bed or Two Twin Beds, Complete Bathroom, HD Flat Screen TV, and Balcony with Mountain View. King Bed in Bedroom, Queen Sofa Bed in Living Room, Complete Bathroom, Two HD Flat Screen TV's and Mountain View. 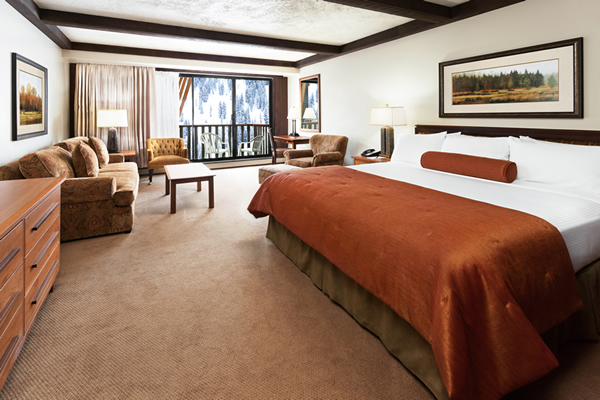 King Bed or Two Twin Beds, Bathroom with Luxurious Shower, HD Flat Screen TV and Mountain View. Queen Bed or Two Twin Beds, Bathroom with Shower, HD Flat Screen TV and Restricted View. To make reservations: call on-site reservationists at 1-801-742-4200 or click here to make online reservations. 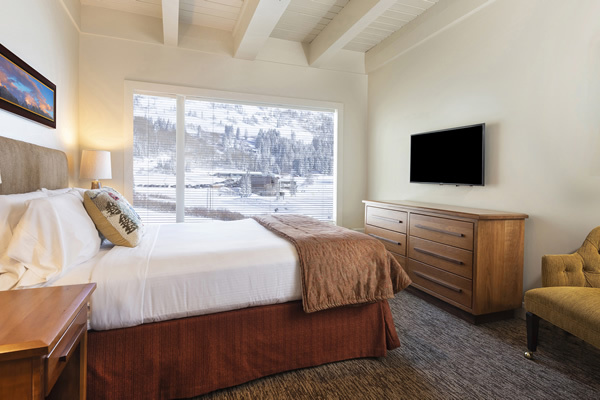 Alta's Rustler Lodge mountainside accommodations range from Superior Rooms with majestic views of Alta and Little Cottonwood Canyon to Deluxe Rooms and Cecret Rooms with balconies and views of Alta Ski Area to Standard Rooms in our original building. 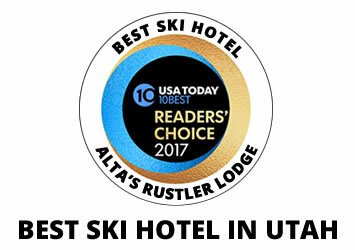 You will find our ski-in/ski-out accommodations at Alta's Rustler Lodge a perfect complement to your or your families ski vacation. Superior Corner accommodations are 726 square feet of pure indulgence. 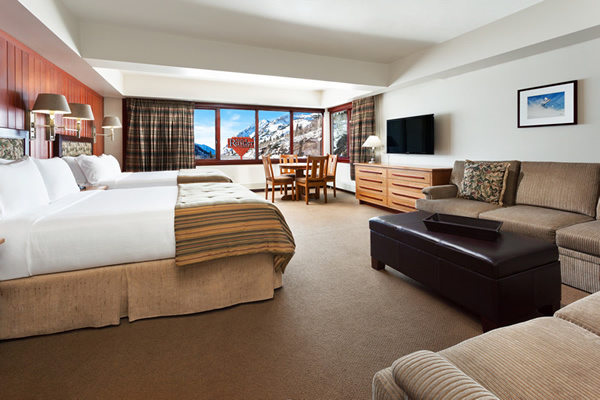 These corner mountain view rooms are the premiere accommodations in Alta and Snowbird. They have one king bed or two queen beds, corner couch with a queen sofa bed. These rooms have complimentary WIFI and a HD Flat Screen Television. The luxury bath has a jetted soaking tub, interior/outer vanities, and a walk in shower, as well as separate toilet room. The slopeside Superior South accommodations feature either one king bed and queen sofa bed or two queen beds in 460 square feet of comfort and luxury. 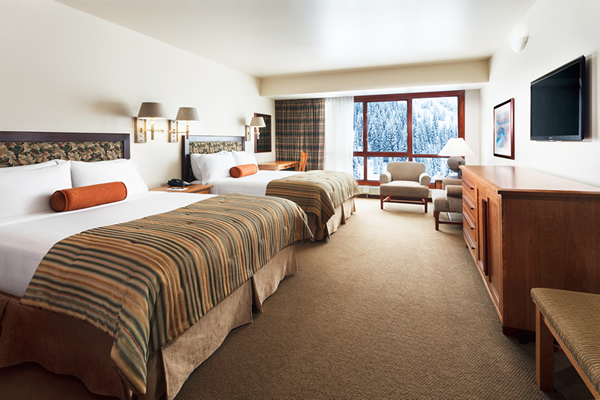 These spacious accommodations are ski in/ski out and decorated in casual alpine colors and fine linens. 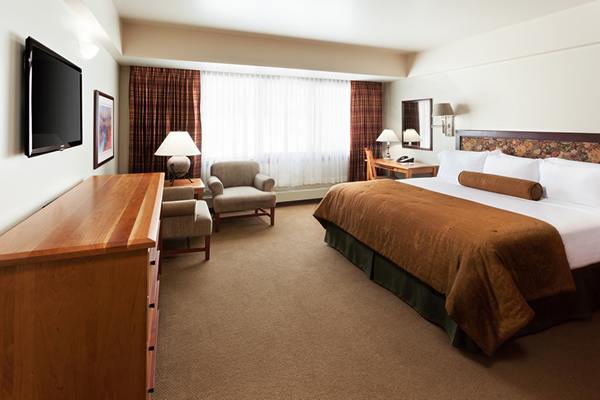 Room amenities include complimentary WIFI and a HD Flat Screen Television. The spacious bath has inner and outer vanities. 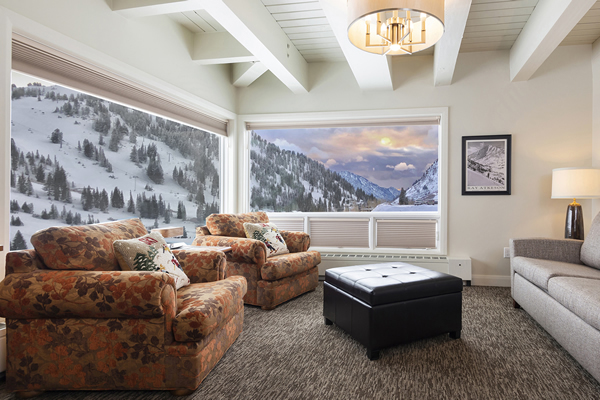 This mountainside room presents breathtaking views of High Rustler and the Wasatch mountain range in Alta, Utah. 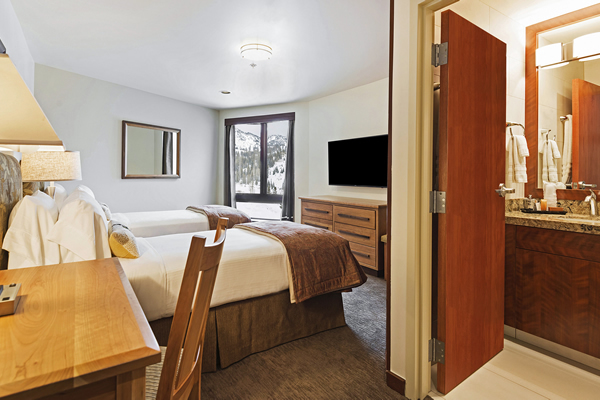 Enjoy the relaxing atmosphere in our Superior North accommodations, featuring one king bed and complete bath with two vanities. These 518 square foot rooms feature amenities include a complimentary WIFI, HD Flat Screen Television and a spacious bathroom. 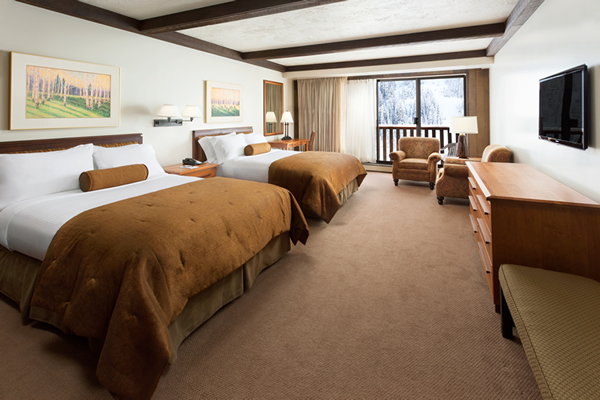 These rooms are on the north side of the lodge with restricted mountain views. 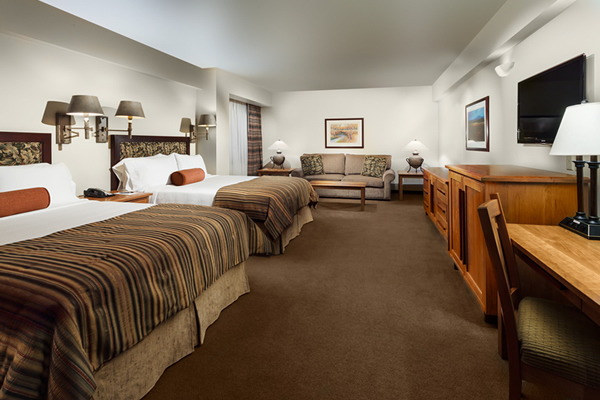 The Rustler Lodge's Deluxe Wasatch accommodations feature balconies with magnificent mountain views of High Rustler, one king bed with sofa bed or two queen beds, complimentary WIFI, HD Flat Screen Television and complete bathroom with inner and outer vanities. 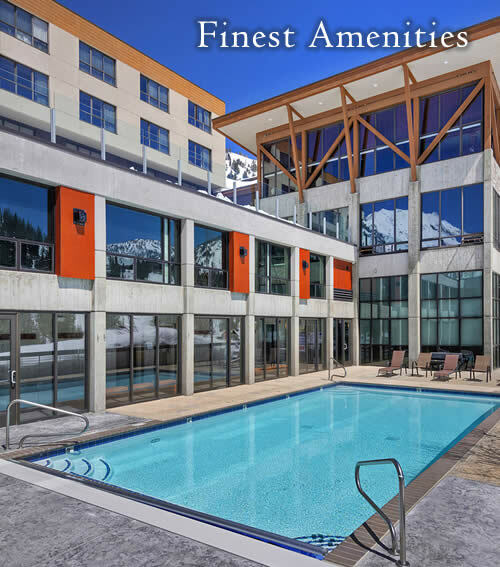 These mountainside Wasatch accommodations feature one king bed with sofa bed or two queen beds, complimentary WIFI, HD Flat Screen Television, and complete bathroom with inner and outer sinks. These ski-in/ski-out rooms have balconies with restricted mountain views. 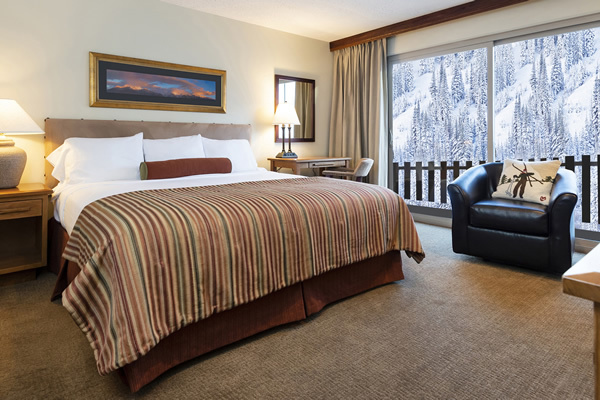 Our Alta slopeside Cecret accommodations have balconies with spectacular views of Eagle's Nest, king bed or 2 single beds, complimentary WIFI, HD Flat Screen Television, and complete bathroom. 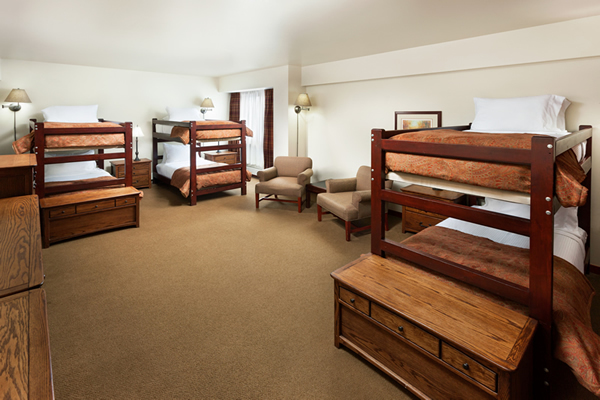 Albion accommodations are in the original part of the lodge and are the best affordable rooms in Alta. These rooms have one queen bed or 2 twin beds, WFI, HD flat Screen Television and a private bathroom.